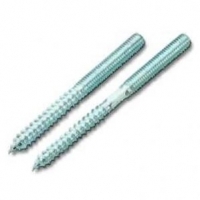 Stairplan Offer a selection of handrail bolts from the standard 60mm Bolt to a new 120mm Handrail bolt. The are available in to order in a single quantity or in bulk if required. With the growing demand for Glass Balustrading Stairplan have developed a online design tool for ordering Toughened Glass Stair balustrade panels. Stairfix.com is a stairplan website focussed more on the installation of your new staircase in the accessories you may require.